Formed in 1994 by singer Amer Eltony, the Egyptian Sufi band, Mawlawiyah, has earned considerable fame all over the world, for their unique performances. 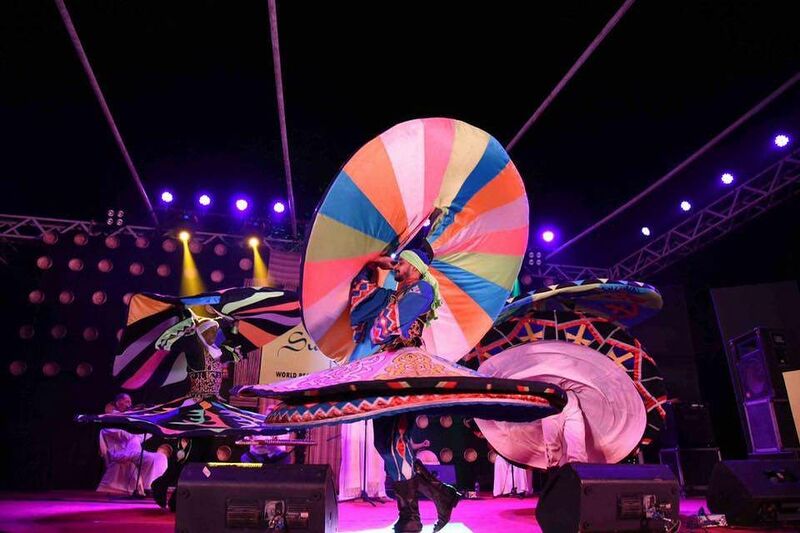 These acts include rhythmic or soft melodic songs, with melancholic refrains, along with an endless series of rotating movements, performed by the Whirling Dervishes. 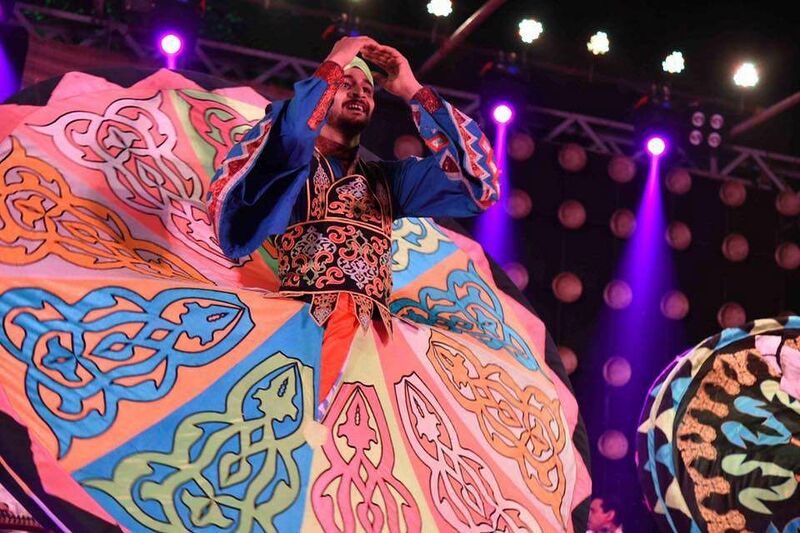 The team consists of three Dervish dancers — Mohamed Yehia Ali Elmergawy, Mahmoud Rezk Othman Rehan and Mohamed Mohamed Abdelhamid Mohamaden — along with a flute player, Hassan Fayez Ibrahim Ayad, tabla/darbuka player Said Hassan Ghidan Hassan, and Qanun player Mahmoud Hassan Mahmoud Hassan. It is not through words that Amer speaks to his listeners, but also with his heart and spirit, reaching out to people beyond the language barrier. 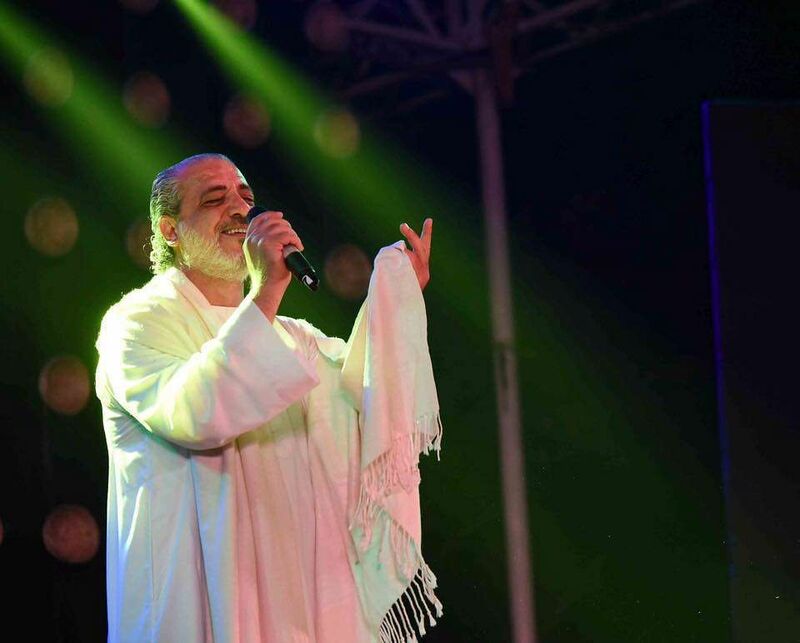 “We try to introduce the Sufi culture in West Asia because we try to make an alternate discourse, with peace at its centre point, as people, both within and outside of the West Asia want peace and not war,” says Amer, the lead singer of the band, clad in a characteristic white robe and an accompanying sheep-wool shawl. “We sing a lot of poetry from Morocco, Tunisia, Syria, Iraq, and a lot of other places. Through my performances, I try to communicate with my audience. I speak to them not through my words, but by my feelings. Their responses to my songs are the true essence of my performances,” he adds. This is not the first time they are playing in Kolkata or India. 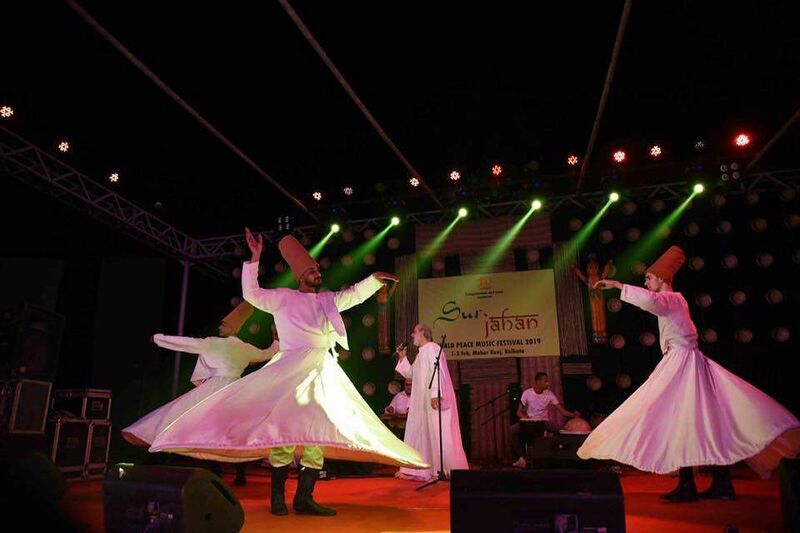 “We have been a part of the Sufi Sutra, since its first edition in 2011. We have been to India seven times and have also performed at the Rashtrapati Bhavan and at the National Centre for Performing Arts in Mumbai,” says the singer. When we ask him, whether he has any idea of the Bengali language, he replies, “I don’t always understand Bengali, but I have a fair idea of what the other person is trying to say. I have heard artistes perform in different languages and sometimes, even when I don’t understand the words, I am able to grasp the feeling and essence of the music. For instance, when I heard Serena of Liona and Serena Strings perform at this festival, I couldn’t understand Spanish, but I could connect to her,” he adds. In March, the team will be touring Morocco and Spain to discover different kinds of musicians, for future musical collaborations in Cairo.